The Republican presidential candidate is taking another stand for admitted child molester Josh Duggar and his huge family. Despite last year’s fallout with the former reality television family, it looks like Republican presidential candidate Mike Huckabee is still on the defensive when it comes to the reputation of the Duggars. 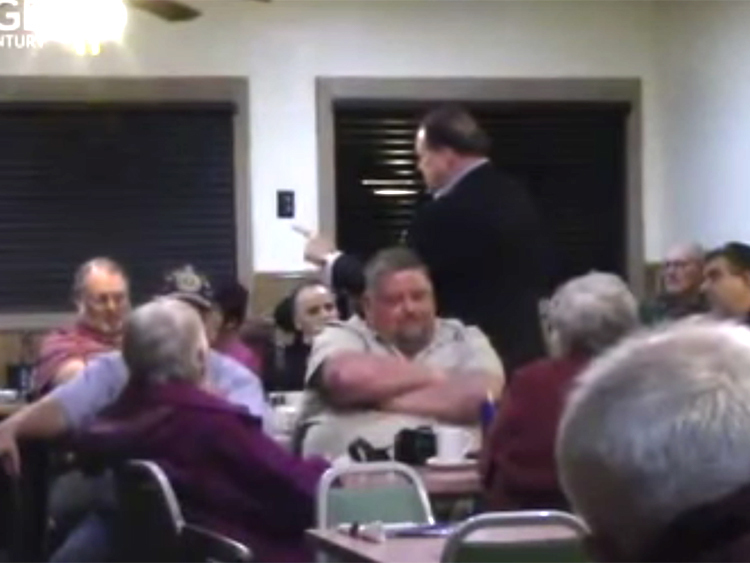 According to a report by the Huffington Post, Huckabee was confronted by an unidentified woman at a campaign event in Iowa. She asked why he feels the need to voice his support for the former stars of 19 Kids and Counting, especially eldest son Josh Duggar, who admitted to molesting five children (including two of his younger sisters). In addition, Duggar reportedly cheated on his wife using an Ashley Madison account. The argument eventually led to the woman being escorted out of the event. Watch the entire, uncomfortable exchange in the video below.